We love the packaging! It comes in a box with simple line drawings of plants allover it and it’s just so simple and cute. The product itself is in a sturdy glass bottle which also happens to be matte and for some reason, we have an obsession with matte products! We received the 100ml bottle and there is so much product. Considering there’s two of us sharing it, it still looks like it will last us ages! The hair oil is made with a blend of coconut, sesame, olive, sunflower & arnica, scented with rosemary & lavender (that’s a lot of natural ingredients!! ), which give it a strange but very organic scent. The rosemary is definitely the strongest ingredient and while we’re not huge fans of rosemary we can definitely look past the scent. Since it smells so natural, we feel like it must be doing good for our hair! The hair oil is applied using a pipette, which we thought made the product more luxury than the usual pump bottle hair oils we’ve used before. You simply, drop as much of the oil into your palm as needed and rub through your hair from the lengths to the ends. It’s important to use the correct amount of oil on your hair though, not too much or too little and it’s best applied to wet hair. After using the product, we noticed our ends felt softer, however, in some areas we both noticed we had obviously applied too much oil, as our ends felt and looked a little greasy. Less is definitely more when it comes to using this product and that’s something we’ve learned while using it for the past few weeks! Obviously it doesn’t fix split ends (it would have to be a miracle!) but it does make the hair feel softer. So if you’re prone to split ends and dry hair, we’d recommend this product. Nothing apart from a hair cut will fix your split ends, but we’d rather our hair feel a little softer so we don’t feel as bad about having them and this product helps! We really enjoyed trying this product out and we can’t wait to see if Forest & Shore add any more hair products to their range! What products have been your hair saviours lately? *Although we were gifted these products, all opinions are our own. 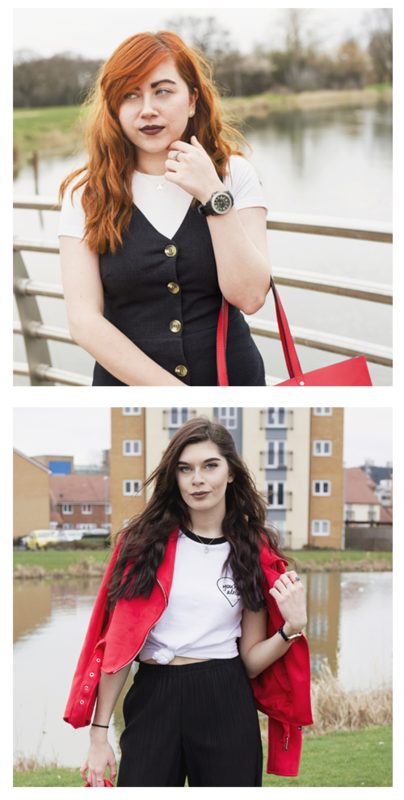 Love the photos in this post girls! I’ve never used a hair oil before but maybe it’s time to test one! ?